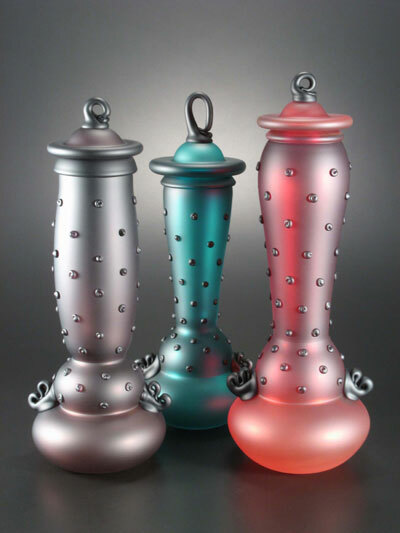 Rob Levin was originally attracted to hot glass because of its liquid qualities and sense of immediacy. 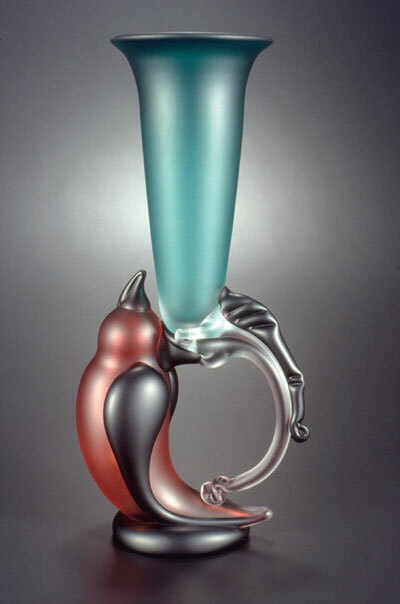 He has always tried to capture some of the elegance, fluidity, gesture and whimsy which he feels are inherent properties of glass. 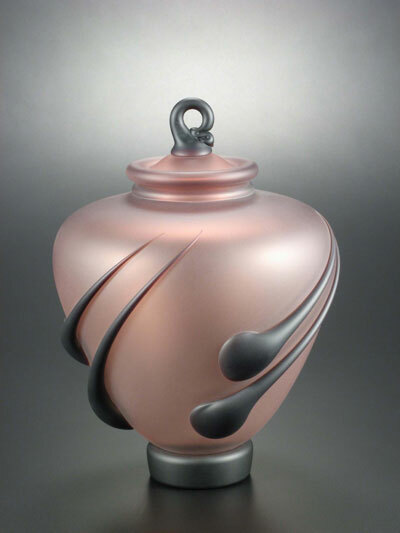 He formulates his own glass colors, sometimes frosting the surface of the glass to accentuate the soft lines of the material. 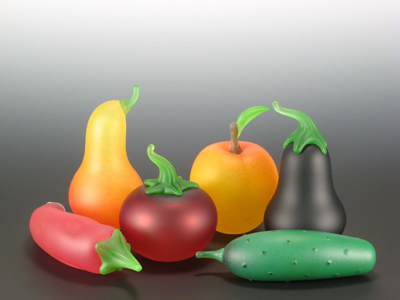 Many of his pieces are based on functional forms, but have more sculptural connotations. The approaches he uses are eclectic and personal at the same time, sort of a blend of Late Venetian and Early Neurotic.